Travel -- how I enjoy that word. Six letters have the ability to captivate and transport the speaker (and listener) to someplace other than where one currently stands. The state of transformation, from one place to another, from one existence to the next, is a marvel of across all the years of history. This week took me on a business trip that passed through Dallas Fort Worth airport, a place I have made airplane connections many times. DFW is a comfortable airport to me. I know my way around; it does not frighten me. I always schedule a long layover there because it affords me the time to absorb as much Texas as I can before I depart. And I enjoy all that is Texas. 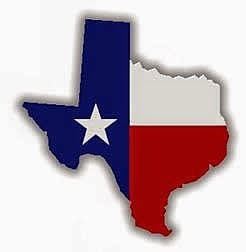 My affection for the Lone Star State began some years ago when I accepted an educational opportunity that allowed me to live in Dallas for two weeks every summer for three years. Those collective six weeks gave me the pleasure of drinking in as much Texas culture as possible from 'yes ma'ams' to salsa to cowboy boots. All were well received. Whenever I pass through Texas, I feel a bit Texan, like I just slipped on a worn pair of Wranglers and scuffed my heels through the Texas dirt. But mine is a temporary citizenship, gained when I cross the Red River and surrendered as I depart. Even if only for a few hours, there will be TexMex and my southern accent will get a little thicker. But in this airport, as with all airports, it's the people-watching that brings the most enjoyment. Here, it is noticing the gentle mix of business woman and cowboy, all mingling about as the scurry from gate to gate. The blending of corporate and country is seamless and intriguing. Social classes are blended in airports, these bastions of transportation, mixing all into the class known only as 'traveler.' The only indication of their lives outside this airport is their choice of shoes. Boots, sneakers, flip-flops, sky-high heels -- all are seen in this mix of travelers and often leave me wondering why that particular choice of footwear was chosen. Personally, I would not wear shoes that would leave me barefooted as I passed through security -- socks are a must for me -- but each person has their own level of acceptance. Quick movement is necessary (especially in DFW where last minute gate-changes are standard) so low heels make my steps quicker. Something with a grip to the sole makes those rushed steps between gates more assured than slick-soled choices. But, each traveler makes their own list of must-haves. No matter the journey, nor the destination, it is important for me to find small pleasures along the way -- comfortable shoes, an interesting view, a TexMex burrito with an amazing queso blanco. It makes any road traveled a more tolerable, and if practiced diligently, the journey becomes equally as enjoyable than the destination.